The French interior evokes a way of life to aspire to, with its good food,unhurried pace and, above all, its past for which many people feel nostalgia.Developed over hundreds of years, the French look reflects all tastes, from the cultivated grandeur of the chateau to the simplicity of rural living, and can be adapted to every home, including the Mediterranean style villa and elegant town house. 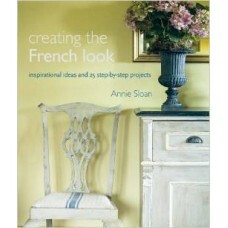 In this book, the look is divided into 'Chateau', 'Country', 'Provencial' and 'Parisian style', and applied to living room, kitchen and dining room, bedroom and bathroom, and to living space in the garden. 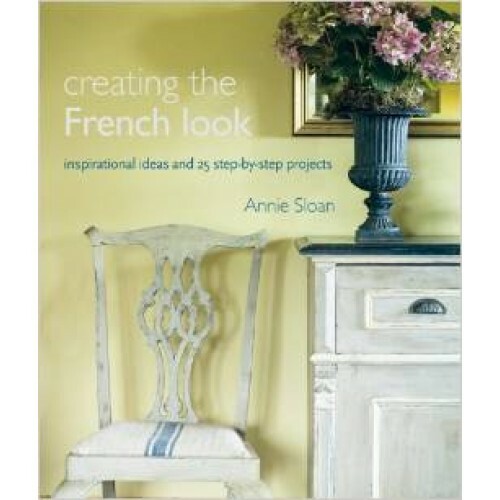 As well as describing each overall look, focusing on colours and fabrics, Annie Sloan emphasizes the details and accents required by each one, and, aided by 25 clearly explained step-by-step projects, shows how to achieve it. Among other things, she explains how to paint and distress furniture, and describes how to cover an armoire door with embroidered voile. Whatever interior you desire, this book will guide your choices from the grand statement of the painted armoire to the finishing touch of a little posy of lavender.